The reason they initially say they don't do energized work is because once they have identified the work as something they can easily do without the power on then they stop, de-energize the system, and only after this step is complete they proceed with the work. And I applaud this. But if you are an electrician working in an industrial facility then you have to do energized work, it's impossible not to, and in this article, I will tell you how to get away with it. So are you wondering what my secret is? Well sorry to disappoint but it's not really a secret at all. Energized work is a completely normal and a widely acceptable practice across all industries. The trick is you have to follow a certain set of criteria to ensure that the type of energized work being performed is acceptable. How do you know when it is acceptable? Here are a few questions you can ask yourself to determine if you should be doing it "hot" or not. As a side note, there is a lot of room for interpretation when it comes to energized work. You will want to be very careful deciding what falls under these "umbrellas". What I recommend is that all parties involved agree on the safest path forward. After careful consideration of the associated risks and determining the appropriate PPE, the group should provide a sound justification as to why the work needs to be completed energized on a document called an energized work permit (sometimes the permit is not required and if you have a specific example you'd like to discuss you can contact me here). Now, on to the first question. Am I putting myself or anyone else at greater risk? If de-energizing the equipment you need to work on will create a bad situation for you or anyone else you may want to consider working on the equipment live. The situation would have to be pretty bad because it would have to be worse than getting a potentially lethal shock or enduring the heat and force of an arc flash, but sometimes there might be a situation that is deemed acceptable. Examples that are often cited here are working on the electrical distribution system for a hospital or a ventilation system, possibly for an underground mine. Is it even feasible to de-energized? 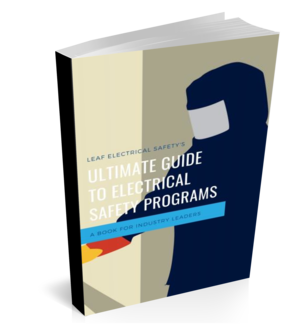 Historically, electrical equipment and electrical distribution systems were not designed to keep people safe, they were designed to keep equipment running. So because most industrial electricians are working at facilities that were built before the turn of the century they are faced with certain operational limitations. The equipment they need to work on could be part of a larger system (maybe a motor control center) that cannot be turned off. Or maybe the equipment itself is designed in such a way that in order to complete the task it must be done energized (or at least done without being able to test for an absence of voltage). More obvious examples of work that is infeasible in a de-energized state would include infrared scanning, start-up tasks, testing, troubleshooting and voltage measuring. Does the system operate at less than 30 volts? The inherent risk when working on systems that are less than 30 volts has been noted as being so low that it is perfectly acceptable to work on these systems energized. So there is my secret. You no longer need to claim that you don't do energized work because everybody does. The key is knowing how to get away with it. Makes sure it's justified, that the risk has been thoroughly assessed, and you are wearing the correct PPE.